A group of local people whose lives are touched by Huntington’s disease are to take part in a skydive to raise money for important research into the condition at Plymouth University Peninsula Schools of Medicine and Dentistry (PUPSMD). The team of six is led by Charly Honey, 24, who has been diagnosed with Huntington’s disease, and includes John Honey (Charly’s granddad), Lewis, Josh and Kieran Fedrick (Charly’s cousins) and her friend Courtney Matthews. The skydive will take place at Perranporth Airfield on the morning of Sunday 7th August. The intrepid team is part of a wider local group raising money for research into Huntington’s disease at PUPSMD. The group has set itself the target of £20,000 for specialist equipment and they have already raised £8,000 through a variety of events. 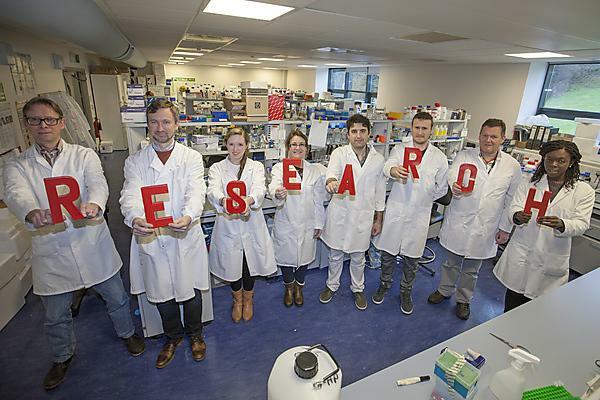 Researchers from PUPSMD received a grant of nearly £520,000 from the Medical Research Council, to investigate the potential of manipulating activity at a cellular level in order to develop an effective therapy for Huntington’s disease. Anyone wishing to make a donation to Charly and her team members can do so by emailing Liz Fedrick at lizfedrick33@gmail.com.